Slow Cooker Pesto Minestrone is a healthy soup with a flavor boost from pesto; don’t you think that looks delicious? 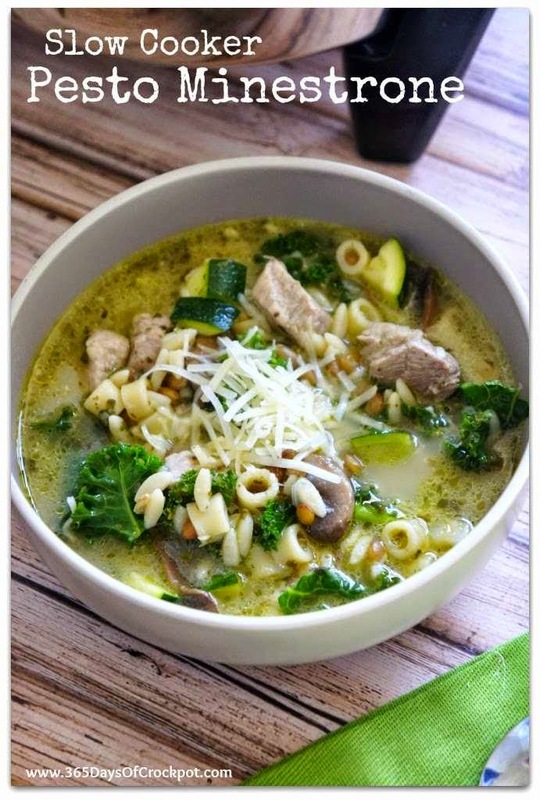 Click to see Ten Instant Pot Minestrone Soups Your Family Will Love! Karen from 365 Days of Slow and Pressure Cooking says this Slow Cooker Pesto Minestrone had her doing a happy dance around the kitchen, and when she shared some with her husband who was working at home that day, he asked for the leftovers to take to work for lunch the next day. 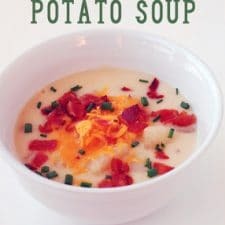 And not only did the photos for this delicious-sounding soup make me drool, but once I read the recipe I could see why Karen and her husband liked it so much. 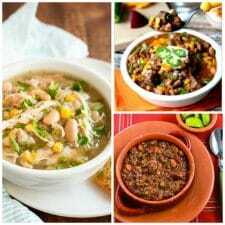 Karen made the soup with pork, but she says you can use other meats, or omit the meat entirely for a vegetarian soup. (I might use my favorite turkey Italian sausage.) Besides the generous amount of pesto, the soup also gets flavor from onions, mushrooms, green lentils, zucchini and Kale. And the recipe makes a generous eight servings, so you can enjoy leftovers the next day! Get the complete recipe for Slow Cooker Pesto Minestrone from 365 Days of Slow Cooking. 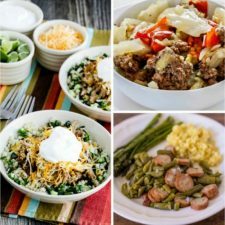 Karen used a 6 Quart Slow Cooker for this recipe. Karen, my pleasure. It looks so amazing. I am thinking I might try a version with no pasta.